The name says it all. 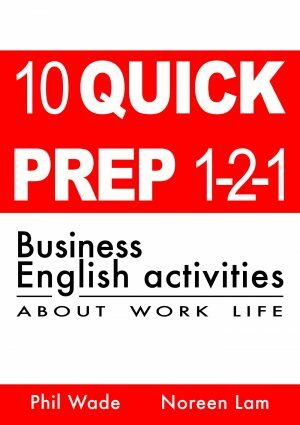 This ebook is for Business English teachers working with clients looking for meaningful and varied lesson activities that address work-based topics without the need for lengthy preparation, copying and handouts. It embraces mobile phones and tablets by incorporating online articles naturally in some activities. The activities are collections of small multi-skill tasks together in a naturally developing way but with plenty of room for adaptation. They include discussions, roleplays, writing, listening, online reading, debate, negotiations, meetings and paper-based tasks. Each activity ends with 4 final discussion prompts to 1) create meaningful conversation 2) help develop new tasks 3) use for homework or next lesson follow-up.